Gaynor is a Solicitor working in our residential property team, specialising in all aspects of residential property including sales and purchases of freehold and leasehold property, transfers of equity and remortgages. Gaynor currently works out of our North Walsham office. Gaynor qualified as a solicitor in February 2016 but has over 5 years' experience running her own conveyancing caseload. Having graduated with a 2:1 Law Degree in 2008, Gaynor expanded her experience in other areas before continuing her legal qualifications with The University of Law in Birmingham; achieving a commendation in the Legal Practice Course in 2014. 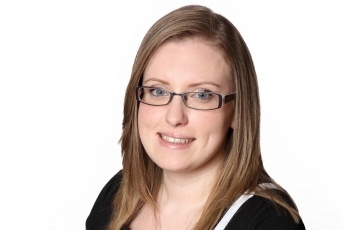 Gaynor re-joined the firm in September 2015 having previously worked for the firm as a paralegal. Gaynor was shortlisted in the Norfolk & Norwich Law Society Excellence Awards 2017 for Junior Lawyer of the year. We would like to thank Gaynor Hay for all of her hard work and diligence throughout the lengthy process of our recent sale and purchase. We wanted to inform you of how much we appreciated her professionalism and advice. We felt extremely safe in her capable hands, and were so pleased to have Gaynor as our solicitor. At times we felt she was the only person we could trust in the whole process. She was never short of patience and very knowledgeable. We are so very grateful to Gaynor and will recommend her to anyone looking for a solicitor. I would just like to offer my thanks and appreciation for your work with ** and I. Your involvement has made this a much better experience than previously and your level of professionalism and ability in these matters was amazing. Thank you very much for working out of hours and such - I am often called upon to do this in my job, and I know that it derives from a passion for the right thing to be done and by a person of great integrity - but it is not ordinary and that is what you have provided - an amazing service that seriously impressed me. Thank you very much!